TKS upcoming Belt Promotional Testing dates are here as follows. The time and date for the testing will be determined based on student’s belt. Please look at the date and time carefully. Please wear the v-neck uniform and arrive 15 minutes early to stretch and practice for testing. Important Reminder: The Belt Promotion Test application and fees are due by Friday, March 10th. Please, return all application and fees by the due date since late charges will apply after the due date. We will have breaking days during class the week prior to testing. It is extremely important for students to prepare and familiarize themselves with breaking techniques. Boards will be available to practice during class according to student’s age and belt color. Wednesday, March 8th and Wednesday, March 15th during the regular sparring class time. Important Note: The sparring test must be taken to be promoted to the next belt. Students too young for the sparring test may get special permission from Master Lee or Instructor Kwak. Thank you so much for the amazing support for the Outreach Program! 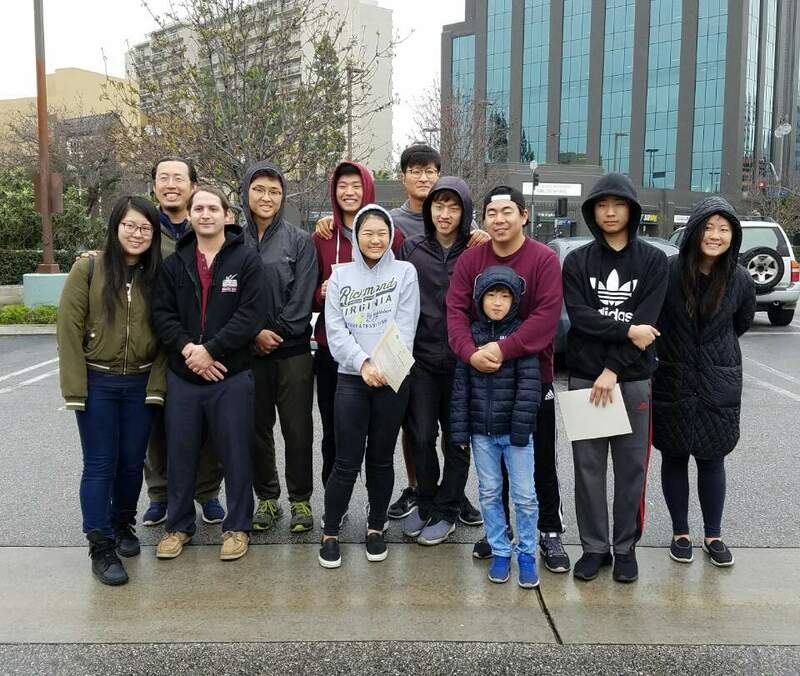 On Sunday morning, six of our TKS students were accompanied by Master Lee, Instructor Kwak, and their parents to help the homeless in LA. We had a great turnout of students and amazing support from our TKS family. 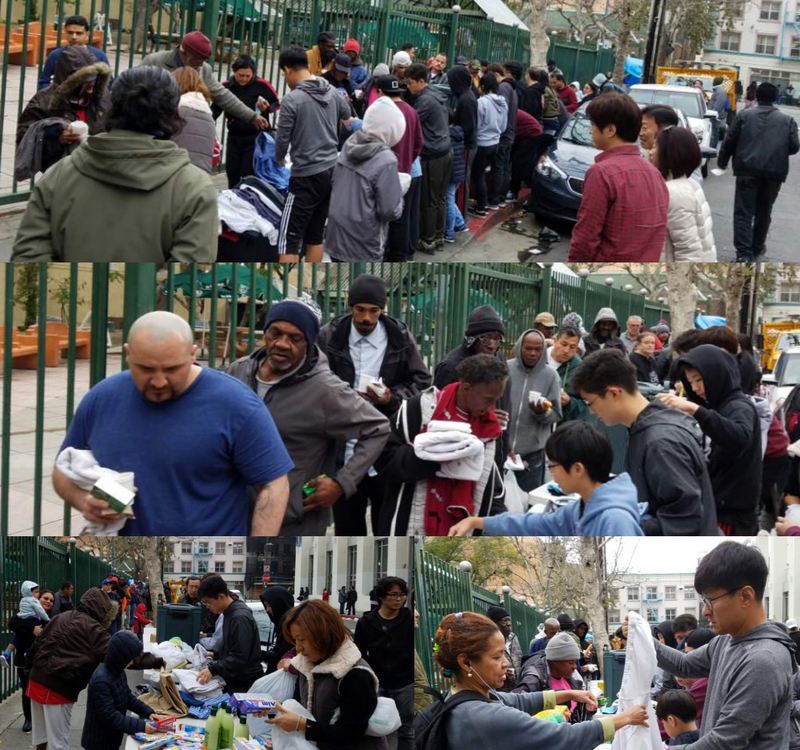 Many families brought warm blankets, soap, toothbrushes, toothpaste, towels, and warm clothes which are greatly needed. If you were unable to participate this month or would like to continue participating, there will be more opportunities in the upcoming months to donate items or volunteer your time. We will be OPEN on Monday, February 20th, President’s Day. We will have our regular Monday schedule. We hope to see you all!